T&Cs apply. New players only. Qualifying bet(s) must have minimum odds of 4.0 and must be settled before triggering free bet. Free Bet must be used on an accumulator with 3 or more selections. 18+. begambleaware.org. Heroes of the Storm (HotS) is the product of Blizzard’s significant effort to stand out of other major esport games (Dota, League of Legends and Heroes of Newerth). 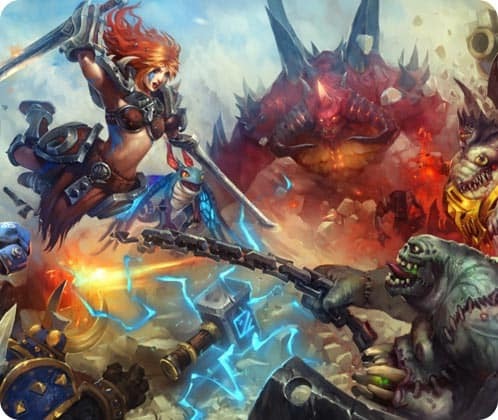 With a unique user experience, flexible and dynamic gameplay, and a variety of maps and heroes, Heroes of the Storm quickly grew to be a major contender on the video game market. Blizzard has always worked hard to make every single one of their titles attractive enough so they generate a large following in the esport scene and Heroes of the Storm is no exception. Having amassed a large number of loyal and active followers, the next clear step was to turn it into an esport. The operation was a success and now Heroes of the Storm is slowly but surely becoming a popular subject of esports betting. The rise of Heroes of the Storm as an esport has indeed contributed to the emergence of most betting sites offering both gamers and non-gamers the option to wage a bet on this fascinating game. 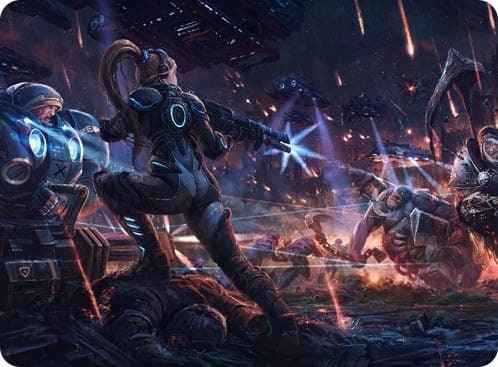 Heroes of the Storm has a particular game style, especially because it changes radically depending of the map (in HotS they are commonly referred as “battlegrounds”). So, to make this an article that is also understandable for newcomer to this game, we will discuss the general strategies instead of focusing on the specific strategies for different battlegrounds. The game is based on 5v5 matches, and each of the players will control a hero. It is meant to be played strategically by working with your team as a unit to demolish your enemies. The main goal is to destroy the enemy’s team core, which is a structure located in the deepest area of their base. It is protected by turrets that do a ton of damage (similar to LoL and Dota), however, despite the fact that the main objective is the same as other MOBA titles, the key difference is that dependent on the map, the way to destroy the enemy’s core will change. This in turn means that strategies and gameplay vary depending on the battleground. Assassin: Assassins deal a large amount of damage, especially to a single target. Their objective is to decimate the enemy heroes, focusing on the ones that are more troublesome in team fights. Warrior: Warriors are the tank class in the game, they are made to withstand a lot of damage. Warriors usually possess crowd control abilities to disable their enemies and avoid their participation in team fights. Specialists: This class doesn’t have a lot of specific characteristics, it depends on the hero. The most common thing you can capture among the heroes of this class is that they have an incredible potential to destroy the enemy’s base. Support: As the name suggest, they are meant to support the entire team. They do so by healing or buffing their teammates. They are extremely important and every composition should have at least one. Multi-Class: The multi-class works as a high utility role that can transform to whatever the team needs. The only hero that is a multi-class at the moment is Varian, High King of the Alliance, which can be fill a tank or assassin role. You can bet on Heroes of the Storm for numerous events such as the HGC, Heroes of the Storm Super League, Gold Serious Heroes League, Dream Hack All Stars and the Gold Series Heroes League – Grand finals. You have the chance to bet on a lot of matches and betting markets for these events. On occasions you may find that the odds distribution is somewhat different to your understanding, especially in the initial phase of the tournament when strong teams are pitted against weaker ones. These kind of opportunities are what you should be looking for when you are evaluating odds – more on this later. The obvious part first: before you start betting, you need to have an account with a website that has an esport betting section. Picking a website with a great odds market will maximise your profits when winning bets, which is why Mr Green is a good choice. After that, explore the betting market and the odds that are being offered. What kind of bets can you make in this game? Which teams are overall favourites to win a) the match in question or b) the tournament/event? These are questions that you should be asking yourself before you embark on esports betting. Finally, when you feel confident and have a good betting idea, deposit money and start your betting on Heroes of the Storm! The betting market in the group stage of certain tournaments can appear as quite volatile. 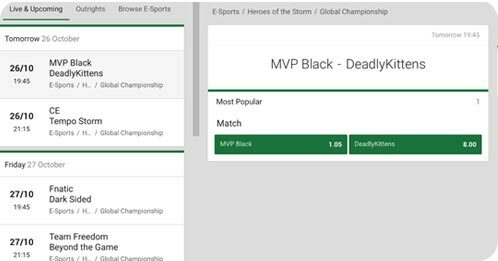 The odds differences between two teams is sometimes huge; this is not only caused by the phase of the tournament but also by the fact that there is a clear dominance from some teams in certain regions. For example at the time of writing, MVP Black in Korea hasn’t lost a single match. They are on a 14-win streak – yes, they are that powerful! At this moment, if you pit any team in HotS against MVP Black, the odds difference is destined to be notable. The same is happening in Europe with team Fnatic. So, when you see the betting markets in HotS don’t be surprised to sometimes see a big difference in odds! The experience system in Heroes of the Storm is something that we MUST mention -it is hugely important and is the one factor that makes the game unique. In HotS, the experience is shared, which makes it the ultimate team game. What we mean by this, is that if one of your team is doing amazing in his lane then you are benefitting from this by leveling up as well. In most competitive games the economy is the main element to determine the outcome of a match but in HotS this is not the case because you don’t buy items. Instead, the EXP is the one factor that can give you an overwhelming advantage, and level difference can be very significant especially in the early stages of the game. When you have a level advantage, forcing fights that the enemy team doesn’t want to get into is a great idea to completely shut them down. This requires great coordination and it’s a great strategy that pro teams utilise to win. Some teams are better at maximising their EXP gain and denying it from their enemies and we recommended betting on the teams that make the most of their experience; they usually end up at the top of the ladder. Mercenary camp dominance is another important factor to consider when assessing team strengths. When controlled, these camps can spawn creatures to pressure the lanes for you. Some of them have an incredibly high damage output and can shred turrets very quickly. Always paying attention to these camps and capturing the creatures every single time is possible but it requires a lot of teamwork and good communication, so check out if the team you are betting on performs well in camp dominance. The most common betting market for Heroes of the Storm is match winner. Let’s say, for instance, that you get offered the odds 1.90 on Team 1 to beat Team 2 and you bet €100 that they win the match. Your potential payout will be €190 which means your profit will be €90. Apart from match winners there are outright winners of a tournament where each team is given an odds to win the whole event. You place your bet before the tournament starts and you will have wait until the last match (the final) is played to see if you will have won. 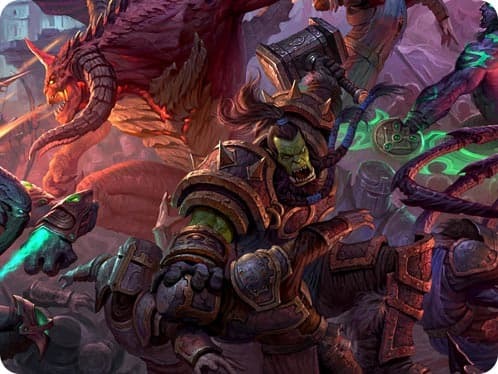 There are also numerous special bets on Heroes of the Storm – some examples could be betting on a team to have their first kill or an exact score. Experience is one of the most important factors to consider when assessing team strength. Teams that are great in accumulating a lot of experience in the laning phase are great picks for betting. Mercenary camps can turn the tides of the battle due to their immense siege potential. Beware of this in your assessment of teams. A great team composition goes a long way! Remember that in strategic games the battle starts even before you start playing. This is a big factor in odds evaluation. The human factor should not be ignored in any form of betting, therefore be aware of the latest form of the teams you consider in your betting selections. Also look at history in terms of head-2-head meetings. Team/roster changes can affect the odds completely – beware of this.